The Torchwood Button-Down Shirt can take on so many different conditions without loosing its cool. This vented shirt is designed to be versatile in a range of conditions and can be used as a light outer shell with insulation layered under in the shoulder seasons. 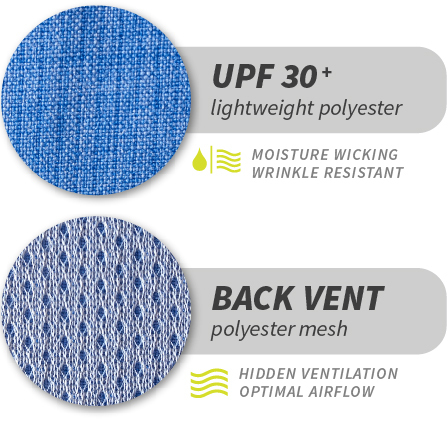 Its made of wicking, quick drying, wrinkle proof fabric that keeps you comfortable. It can do time in the truck, plane, pub or even at a holiday dinner party without looking like it’s out of place. We drew name inspiration from the heat and wind tolerant Torchwood tree, native to the Keys. The weave of our supple fabric resembles the look of the Torchwood's tight grained wood. Don't pack your bag without one of these travel savvy shirts.